Tue., April 5, 2011, 10:45 a.m.
Duncan, 48, made what could be his his last appearance in Riverside County Superior Court during a sentencing hearing this morning in Indio. Duncan pleaded guilty last month to the abduction and killing of the 10-year-old Beaumont boy outside his home 14 years ago. Anthony was kidnapped at knifepoint April 4, 1997, when Duncan approached a group of children offering a dollar each to help him find a lost cat. Anthony was driven to an area south of Joshua Tree National Park, where the boy was molested, tortured and beaten to death with a rock. His body was found by a ranger 15 days later bound in duct tape. During today’s sentencing, both Duncan and Anthony’s family were given a chance to speak about the case. 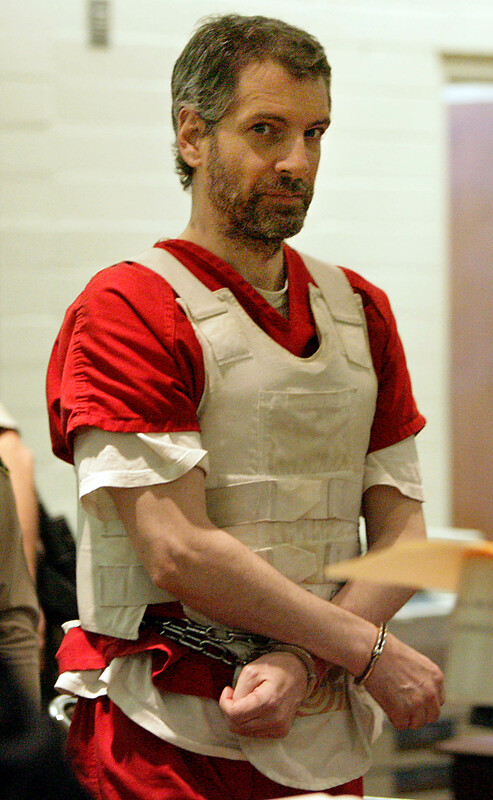 A federal judge has already ordered Duncan to three death sentences, on top of nine life terms for the murder of four members of a family and kidnapping of two children in Kootenai County, Idaho. In Idaho, Duncan was tried and, in 2008, convicted for the murders of Brenda Groene, her fiancé, Mark McKenzie, and her oldest son, Slade Groene. All three were bludgeoned with a hammer in their home. Duncan abducted Groene’s two youngest children, Dylan, 9, and Shasta, 8, and molested them before killing Dylan. Duncan was with Shasta at a Coeur d’Alene Denny’s when a waitress alerted authorities. Upon his arrest, Duncan confessed to Anthony’s death and a partial thumb print was found on a piece of duct tape on Anthony’s body. Riverside County prosecutors filed murder charges in 2007 and extradited Duncan to face the death penalty. Newly-elected District Attorney Paul Zellerbach accepted a settlement from Duncan’s attorneys to agree to the life sentence. Zellerbach said the family requested he agree to the settlement. By not pursuing the death penalty, Duncan would likely face execution much quicker on the nation’s federal death row in Terra Haute, Ind. where he would await the death penalty for the Idaho murders. For more than two years, Duncan has been held at the Indio Jail. Prosecutors said Duncan could be returned to federal prison as soon as Wednesday. Published: April 5, 2011, 10:45 a.m.